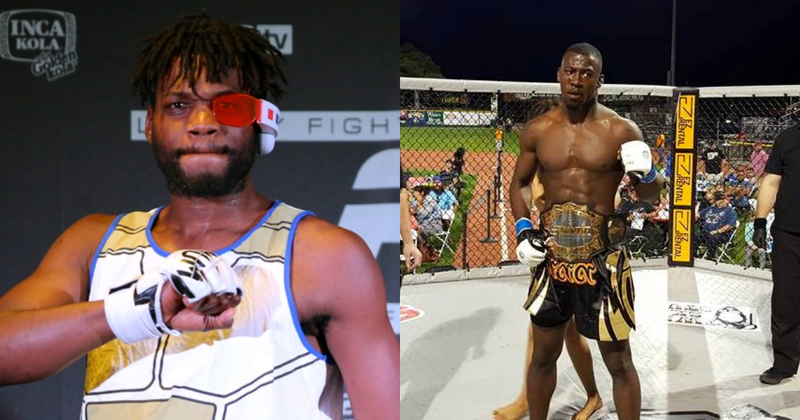 Midwestern MMA has been a hub for many of the UFC’S current talents from Montel Jackson and Zac Ottow to The Ultimate Fighter season 28 contestant, Leah Letson. In today’s episode of Across The Pond, you will meet two midwest heavy hitters whose destructive all around arsenals are taking the LFA middleweight division by storm. Tim Hiley – A professional since November 2015 and representing Pura Vida BJJ and MMA, Tim Hiley owns a 7-1 record in eight career bouts as a professional comprised of three decisions, two knockouts and two submissions. Hiley has fought for LFA and Pure FC. In his MMA debut at Pure FC 2, he defeated JP Saint Louis via unanimous decision. Hiley defeated his next two opponents in Alan Dahlke and Ricco Ralston. Then at Pure FC 7 he submitted Eddie Larrea via rear naked choke in the second round. Hiley defeated Charlie Brown via unanimous decision at Pure FC Pure Fight Night 1. In his debut outing with LFA at LFA 34, he defeated Willie Whitehead via TKO in the second round. At LFA 41 Hiley defeated Tyler Vogel via unanimous decision to pick up his third decision victory as a professional. With a wide array of techniques at his disposal, this captivating middleweight talent is the perfect blend of midwestern toughness and showmanship! Alton Cunningham – A professional since April 2017 and representing Pura Vida BJJ and MMA, Alton Cunningham owns a 6-1 record in seven career bouts as a professional with all six of his wins coming via knockout. Cunningham appeared on week four of season two of Dana White’s Tuesday Night Contender Series in 2018 and has also fought for LFA. In his MMA debut at 3 River Throwdown 11, he defeated Kyle Walker. Cunningham also defeated his next two opponents in Rex Griepentrop and Jordan Seufzer. In his debut appearance for LFA at LFA 29, he defeated Dominic Garcia via TKO in round one. At LFA 34 Cunningham defeated Wayman Carter via TKO in the third round. In his next outing with Pure FC at Pure FC 11, he knocked out Bj Lacy in round one. With all six of his professional victories coming via knockout, it’s ready to aim fire for this midwest cannon!